SARAH LIVINGSTON JAY continues her correspondence with her husband who is in Philadelphia during the holiday season in 1778-1779. She misses John terribly and is excited at the prospect of joining him. Sarah’s health was always rather fragile—she seems to have suffered from some sort of rheumatism at a young age (perhaps rheumatoid arthritis? )—and, as is clear from this letter, from depression which comes and goes. I love the way she sometimes writes as if carrying on a conversation, here with her father, who teases her about her “naughty husband who is too lazy to write,” and then produces a letter from him. I was making inquiries just now for pen, ink &c. in order to write to my absent friend when papa return’d from town. What going to scribble again my dear? Were I in your place I would not give myself any concern about such a naughty husband who is too lazy to write to his little wife. So unusual an expression from papa commanded my attention & percieving a smile upon his countenance I demanded a letter from him, when after a few Presbiterian evasions he handed me yours of the 26th Decr. . . . Sister Kitty [Livingston] is much obliged to you for your polite invitation, & already anticipates the pleasure of being with us. Papa too has made her happy by his acquiescence with your request, tho’ it’s my opinion you could not make a request with which he would not chearfully comply. As to me, you know, that the pleasure of your company is my prime enjoyment & therefore your proposal to send for me is very agreeable. If you think it probable that accomodations will be provided by the 1st Feby. let that be the time for the Col: [Henry Brockholst Livingston, Sarah’s brother] to attend us: I think it will not be amiss if Jacob should come with the waggon for our baggage, unless Brockst. can procure a continental one; but be that as it will, order your Secy. to inform us of yr. determination previous to his leaving Philadelphia. The company of your dear little boy [Peter Augustus] proved a great consolation to me since you’ve been absent, & I should not have forsaken him for Eliz. Town had I not found my spirits a key too low, which I thought a ride would contribute to enliven. As soon as a convenient opportunity offers Kitty & I shall return to Persipiney & wait there the Colonels arrival. Adieu, my dr. Mr. Jay. I dare not ask you to write frequently, if the time to be so employed, must be deducted from sleep; for certain I am, that if a sufficient portion of time is not alotted for repose, your too intense application to business will inevitably impair your health. Accept the Compts: of the season from our little circle & may we repeat the same to each other fifty years hence. Once more my beloved Adieu. Christmas was not a widely celebrated holiday in the colonies. Its observance was generally prohibited in New England by Calvinists and other Protestant sects, and by the Quakers in Philadelphia and elsewhere. On the other hand, Anglicans, Roman Catholics, Lutherans and Moravians did celebrate the Christmas season with both religious services and secular festivities. Generally these groups were in the Middle colonies and the South. 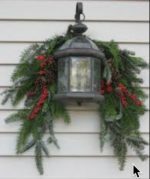 If there was any decoration at all in homes it was likely to be garlands of natural greens, a few sprigs of holly and some mistletoe. Using an expression I find particularly felicitous, I beg all of the readers of this blog to ACCEPT THE COMPLIMENTS OF THE SEASON. And to join me in the new year when I will resume posting. Louise North, Janet Wedge, and Landa Freeman Selected Letters of John Jay and Sarah Livingston Jay (Jefferson, NC: McFarland, 2005), 56. Read articles on the celebration of Christmas in the colonies HERE and HERE. 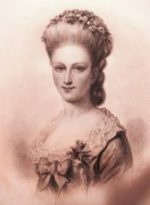 SARAH LIVINGSTON JAY had written the letter in the previous post on December 28, 1778, but found no way of sending it to her husband John who was in Philadelphia tending to his responsibilities as president of the Second Continental Congress. From Elizabeth Town, to which she had returned, she penned an addition to it on the 30th. I have always been charmed by the way married couples during often referred to each other in their letters as “my dearest friend.” My colleagues and I had wanted that phrase to be the title of our book on the correspondence of the Jays, but sadly the publisher overruled it. I wrote this letter on monday, but as I knew of no opportunity of sending it, left it unsealed, & in the evening was agreeably surprised by Papa’s arrival at Persipiney, but still more pleased when he handed me your letter of the 10th Inst. which I have the pleasure of acknowledging at present. Accept my dearest friend of my sincere thanks for your never-ceasing attention to my happiness. You tell me, my dear, that the greatest gratification you derive from the honor of your late appointment is it’s being an additional recommendation to my esteem. And do you really imagine that my esteem for you can be heightned by any public testimony of your merit? No, no my dear, my sentiments of esteem have long since been confirmed, nor indeed has the public acknowledgment of your merit been wanting to convince me that the respect I felt for you was founded on your virtue. Yesterday Papa prevailed upon me to return with Kitty & himself to Eliz. Town, and by way of inducement assured me there are more frequent opportunities of hearing from you here than if I staid at Persipiney. He tells me likewise to inform you that unless there is an order of Congress to the contrary he shall certainly fetch your little Boy [Peter Augustus in Persipiney] very soon. Papa is just going to church, I’ll seal my letter in hopes that in town he’ll hear of some way of forwarding this to you. . . .
Louise North, Janet Wedge, and Landa Freeman Selected Letters of John Jay and Sarah Livingston Jay (Jefferson, NC: McFarland, 2005), 55. Circa 1870s antique engraving of Sarah Livingston. Writing to her husband from Persipiney, New Jersey on December 28th, SARAH JAY seems to be rather put out by having read about her husband’s new position in a newspaper. And she is a bit miffed at not hearing from him frequently enough. Note the typically formal salutation of wife to husband. Classical references were common in the correspondence of educated people of that time. The manuscript letter can be viewed here. I should have troubled you a second time, & have wrote you by the last Post had I not entertained the hope that it wou’d not be long before I should have the pleasure of acknowledging at least one favor from you. I have been disappointed, ‘tis true, but still I will not relinquish the pleasing idea of being affectionately remembered by my beloved friend. To prevent future mortifications of the like tender to nature, permit me to remind you that there is a Post that takes letters from Morris-Town for Philadelphia & returns every week. I had the pleasure of finding by the news-paper that you are honor’d with the first office on the Continent, and am still more pleased to hear this appointment affords general satisfaction. Will you be so kind as to inform me whether our State has prolonged your stay beyond the first of March or not? As by your present Appointment your personal attendance upon Congress I imagine can’t be dispensed with, I am very solicitous to know how long I am still to remain in a state of widowhood; upon my word I sincerely wish these three months may conclude it; however, I mean not to influence your conduct, for I am convinced that had you consulted me as some men have their wives about public measures, I should not have been Roman Matron enough to have given you so intirely to the public, & of consequence your reputation & claim to the gratitude of your country would have been as much diminished as theirs who have acted so imprudent tho’ tender a part. Louise North, Janet Wedge, and Landa Freeman Selected Letters of John Jay and Sarah Livingston Jay (Jefferson, NC: McFarland, 2005), 54-55. The portrait is by Robert Edge Pine; it appears HERE. We often need to be reminded that the American Revolution was in great part a civil war. In that context it is useful to consider what went on in New Jersey. In 1776 George Washington and what remained of his army made the retreat and escape from the defeat in New York City into New Jersey and further south, engaging now and then with the British, achieving some morale-boosting encounters such as the Christmas Day attack on Hessian troops and success in the battle of Trenton. Armies and militias on both sides moved back and forth across the state, the British and Loyalists seeking forage and supplies (horses as well as soldiers had to eat) to maintain their garrisons and the Patriots attempting to prevent the looting and pillaging and carrying out raids on British positions. In New Jersey, particularly in what was then Bergen County, in the northeastern corner abutting Rockland County in New York to the north and the Hudson River to the east, the War clearly divided families, friends and neighbors. Governor William Livingston declared “that the most northern County in the State is almost totally disaffected.” One of the clearest examples of the bitter divisions within families is that of the Demarests in Hackensack Township, not only with regard to the emotional costs engendered by broken relationships but also for the economic hardship resulting from the confiscation by the State of property owned by Loyalists. Here is Jane Demarest’s story, related in the first person from materials by her—the petition arguing against confiscation—and about her. While not strictly in her exact words this passage is true to the life and experience of this New Jersey woman. I was born in 1743 and christened Jannetje Zabriskie by my parents, Albert and Tjelltje Akkerman Zaborisky of Bergen County. On March 13, 1761 I married David G. Demarest at Schrallenberg, Bergen County. When the Revolution broke out David’s family provided soldiers to both sides in the conflict. At least thirty five men are known to have served, two dozen on the Patriot side and another eleven fighting for the Crown. David and I disagreed on which side to support in the conflict. I was a staunch Patriot and was horrified when David enlisted on November 23, 1776 in Captain William Van Allen’s Company of the 4th Battalion, New Jersey Volunteers, a Loyalist battalion. He was soon after taken prisoner on December 6, possibly during a raid with his unit on Tappan. Somehow he was able to get back home, but on May 16, 1779 he left home and re-joined his Loyalist battalion, part of a body of about 1,000 British troops that entered Bergen County and drove away the picket at New Bridge that day. When David rejoined the Loyalists, I certainly did not follow him, but I still suffered the consequences for his actions. The State began the process to confiscate his estate, which unfortunately for me and my family, was in his name. In an effort to stave off confiscation, I quickly petitioned Governor Livingston and the legislature hoping to transfer the property title to our Patriot family members. I wrote that I had “incurred the reproaches and hatred” of my husband and many family members because of my “attachment to the interests of America” and my “zeal in instilling those principles” in my children. My eldest son, seventeen year old Guilliam, in spite of his father’s commands to the contrary, joined the Patriot Bergen County militia under the command of Colonel Theunis Dey, and served when called to defend the frontiers of the State. I desperately continued trying to preserve our property that the State was confiscating even though my son was fighting for the Patriot cause. David left the New Jersey Volunteers by 1780 and became one of the initial members of Thomas Ward’s Loyal Refugee Volunteers, raised to supply the British army with firewood. Little did David know that this choice would bring him into direct conflict with our son. The Loyal Refugee Volunteers supplemented their wages by conducting raids into Bergen County, making off with cattle and other plunder. David was one of the 110 defenders of the Bull’s Ferry Blockhouse attacked by General Anthony Wayne’s troops that following July, and was still listed on their rolls in 1782, as David Demerea, a name also used by the family. His actions brought an indictment for high treason in Bergen County that was published in The New Jersey Gazette on November 22, 1780. When the major fighting of the war moved south in 1781, the petit guerre taking place in Bergen County still directly [affected] our lives on a daily basis. For David it meant cutting wood on Bergen Neck and raiding up into Bergen County. For Gilliam, it meant defending against Loyalist raids by forces that might include his father. The Royal Gazette, the New York Loyalist paper, on August 1, 1781 carried news that a party of Loyal Refugees who penetrated as far as the New Bridge, near Hackensack, captured three notorious rebels, drove off their stock, and returned without firing a shot. The three “notorious Rebels” were Gilliam, John and Philip Demarest, and they had been taken prisoner by David G. Demarest’s battalion. Two of the three captured Demarests, John and Philip, were imprisoned for less than six months before being paroled home and soon after exchanged. But my son Gilliam remained a captive in the notorious Sugar House prison in New York City. David took advantage of this and tried to convince him to join the Refugees. Gilliam, though, resisted his father’s repeated requests (more like demands) and remained committed to the Patriot cause. He survived the prison, was exchanged and went back into the Patriot military service. Soon after he was wounded in the hand during an engagement, again with his father’s Loyalist troops. At the end of the war our family found itself irreconcilably torn apart. I never again returned to David and spent the rest of my life in the new United States, as did Gilliam. However, we lost the comfort of our three room stone home, confiscated by the State in retaliation for David’s Loyalist actions. And as for David? He left Bergen County for good in October 1782 and sailed with his corps to Nova Scotia, eventually settling in Upper Canada (modern Ontario) on free grants of land provided by the British. The American Revolution left our family either exiled or homeless, despite fighting for both the winners and losers. See the information about Jane Demarest HERE and in Braisted, Todd. Bergen County Voices from the American Revolution: Soldiers and Residents in Their own Words (Charlestown, S.C.: The History Press, 2012), which can be viewed HERE, in Chapter 5.